Our purpose of education is to nurture students' beautiful humanity and beautiful talent. Using the Suzuki method of teaching violin, we develop students' optimism and hope, curiosity, ingenuity, empathy, metacognition, and grit. These are essential skills (pg 12) "necessary for ethical citizenship, collaboration, and creating social change". Our Suzuki approach is informed by the Rida Framework and El Sistema. Both are inspired by Brazilian educator and theorist, Paulo Freire, author of Pedagogy of the Oppressed. During annual Special Projects, local artists serve as guest instructors to support our belief in place-based education and experiential learning. We believe our student deserve the best, which is the Suzuki method, a high-quality, internationally-renowned method of learning. Things like weekly private lessons, group class, and parent participation (during lessons as well as daily home-practice) set the Suzuki method apart from other pedagogies. Suzuki sets students up for success and happiness. We also want to create social transformation, using the Suzuki method to nurture children’s empathy for others, perseverance, patience and will for mastery. Dr Suzuki wanted to change the world by helping children become peace-makers; he created the pedagogy following World War II in Japan. The Suzuki approach develops beautiful humanity in students by nurturing beautiful musical talent. Parent participation - parent is expected to engage in each lesson by taking notes. They facilitate daily home practice until child is capable of practicing independently. Early beginning - age 3-5 but Dr Suzuki said, "You're rarely too young and never too old to Twinkle"
Step-by-Step & Layered Learning - pieces and position points are given in bite-sized pieces. Before one songs is mastered, students are given a "preview" to the next piece. These practices create a feeling of constant success which nurtures a will for mastery. Delayed note reading - initially, students are taught mainly "by ear" with light note reading and music theory activities. They begin weekly pitch and rhythm note reading from I Can Read Music after accomplishing a basic foundation of musicality and technique. Through our Special Projects, DYV students practice experiential learning: the process that occurs between a teacher and student when learning environment and content are infused with direct experience. Local artists work collaboratively with students to celebrate and learn about genres special Detroit during workshops, recording projects and performances. These activities nurture students' employability and life skills while developing positive cultural identity and critical consciousness. ​Collaboration with local artists is also a form of Place-based education, supporting students to solve community problems by using their local community and neighborhoods as a primary learning resource—the unique history, environment, culture, economy, literature, and art. Place-based education often involves hands-on learning, project-based learning, and is always related to something in the real world. DYV is part of an international network of El Sistema-inspired programs. El Sistema is a Venezuelan musical youth development program dedication to rigorous, artistic ensemble playing as a vehicle for social change. Since 2009, over 100 new El Sistema inspired programs have been created that use intensive, ensemble-based programming for at-risk youth. Over 6,000 children currently participate in El Sistema programs across the U.S. with the number rapidly increasing by the month. The goal of El Sistema is to strengthen executive function skill development and intrinsic motivation through collective musical ensemble learning. It also increases social capital through the development of positive relationships with peers, parents and other adults. In addition, the El Sistema philosophy promotes civic engagement of youth by instilling problem solving and leadership skills that are transferrable into out-of-program contexts. When educators, youth and community members embrace our full humanity, it allows us to envision and actualize a more just, creative and collaborative world. DYV Director and lead violin teacher is trained in the Rida Framework, a planning and evaluation tool inspired by Brazilian educator and theorist, Paulo Freire. Teachers learn to employ transformative practices and nurture higher order thinking skills in students. Ultimately, we need agents of social justice who are able to solve deep rooted problems, imagine new realities and build movements that span communities across the world. 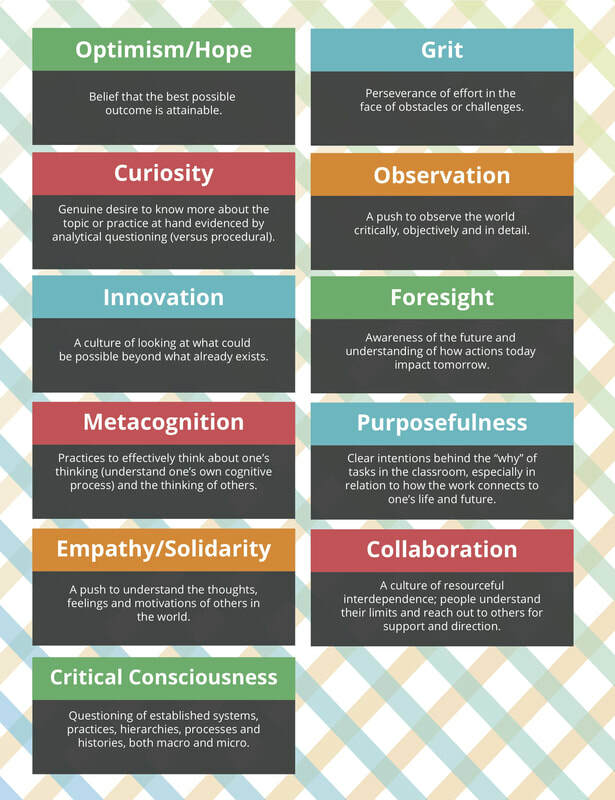 The Rida Framework approach cultivates 11 essential human skills (pg 12), including optimism and hope, curiosity, ingenuity, empathy, metacognition, and grit. These are essential traits necessary for ethical citizenship, collaboration, and creating social change.